The last few months I’ve had a hard time finding a good book to read. 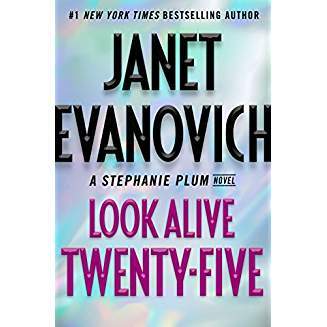 Thus, I’ve re-read the entire Stephanie Plum series of 24 books by Janet Evanovich. I had read most of those books before, but not all in order and not back-to-back. Since that series came out in the 90s, some I had read years ago, so it was fun to refresh my memory. I discovered that these are even better books than I thought. So many little subtleties that enrich the stories and foreshadow the future of the characters are dropped here and there. I didn’t notice those when reading them hit or miss. In the writing game, this is tricky business. 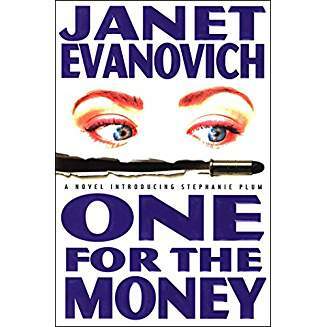 Plain and simple, Janet Evanovich is a good, maybe even superior, writer. Through the whole 24 books up to this point, an ongoing and more solid relationship has been building between Stephanie and Joe, advancing a few inches in each book. A few books into the series, through all of the mayhem and zaniness, Joe tells Stephanie he loves her. A few books later, she tells him she loves him. He appears to be a one-woman-man and she is almost totally loyal to him. The last two books threw me for a loop. Up to that point, I thought I saw a relationship with a future more-or-less established for Stephanie and Joe. Then Stephanie shocked me by hooking up with Ranger! So now, I can’t even guess where Stephanie and Joe are going or if it’s going to be Stephanie and Ranger. If Joe finds out she’s fooling around with Ranger, he might kiss the whole thing good-bye. Or maybe, deep down, he knows and doesn’t want to confront it. This relationship is a super cliff-hanger at the end of every book and masterful marketing. The upshot of all of it is I can hardly wait to read the next book coming out in November. I’ve always been a fan of these books; however, I wasn’t anxiously waiting for the next one until I read the entire series back-to-back. I’m by no means the only one who is waiting for the next book. All I can say is if you enjoy zany humor and haven’t discovered these books, you’re missing lots of reading fun. If you like the feel of a book in your hand, SWEET WATER, Book #1 in my West Texas series, is now available as a print book. It’s for sale at Amazon and at Barnes & Noble for $14.99. This one has a glossy cover that sort of portrays how the hero and heroine might look. BOOK DESCRIPTION: Terry Ledger, a wealthy West Texas developer and builder of high-end homes, isn’t looking for romance. He has a goal to construct an exclusive development for senior citizens. He has searched for years for the right location, but never expected to find it on an eBay auction. Now he has paid a million dollars to win the tiny town of Agua Dulce, Texas and he’s ready to start building his dream. But not if Marisa Rutherford has anything to say about it. The ostensible town mayor, manager of the only cafe, flea market and tourist trap and caretaker of her dying mother, never expected to have to protect the town’s odd population, as well as her heart, from an outsider like Terry and his plans. But she will fight to the end to keep Agua Dulce from becoming just another stop on a wealthy developer’s path to riches. As Terry and Marisa battle it out, romance takes root between them. Can Marisa reconcile her heartfelt feeling for Terry with the loyalty she feels for the town’s citizens? Can Terry’s love for her make him understand her need to protect them, even from him? Happy Holidays, everyone. As for me, I’m just glad it’s almost over. When you work in retail, the Christmas season calls for a huge amount of work and the patience of Job. And it’s hard to find fun in all of the chaos. North Texas actually had snow on Christmas Day this year. In my entire life, except in the Panhandle, I don’t think I’ve ever known of it snowing on Christmas in this part of the world. A lot of other things were going on besides work at my real job. First and foremost, (And I don’t want to forget a trumpet blare here), I finally got THE TYCOON uploaded into the Kindle Store on Amazon. But it didn’t happen until Christmas week. And here’s the cover one more time. I ran into a few snags, like a copyeditor who dropped the ball. Consequently, I ended up hurrying through it and formatting it myself. The result of that was a whole lot of errors in the formatting. I hate that, but I had to upload it. I had copyrighted in in 2012 and I wanted it to be a 2012 release. Now I’m in the process of going back and correcting the errors. I can’t move on get into Book #2 because I can’t seem to get free of Book #1. My intention was to get it uploaded the first week of December, then follow up with the promotion of SWEET WATER free in the Kindle Store, thus expose it to more traffic. Not getting the copyedit back threw my schedule all off and nothing came off as I had planned. One of the things I’m learning in self-publishing is that there are a lot of unqualified, unreliable folks out there. I knew that about other endeavors in which I’ve been involved through the years, but I was hoping for better from the writing world. I put a price of $4.99 on THE TYCOON because it’s a long book and a lot of blood, sweat and tears went into it. It’s my usual character-driven soap opera. As I think I’ve said before, it’s Book #1 of a trilogy called SONS OF TEXAS. The books will be romance novels, but overarching the trilogy and threading through it is the story of a wealthy, dysfunctional Texas family. The true ending will not come until the end of the 3rd book. Besides that, I got SWEET RETURN uploaded into the Amazon Kindle Store. Kim Killion designed an awesome cover. It might be my most favorite cover. Let me know what *you* think. The female model on the cover wrote me a Facebook message and told me how happy she was to be on the cover. I thought that was cool. Actually, it’s kind of surreal how much these two models look like I imagined Dalton Parker and Joanna Walsh, the hero and heroine in that book. SWEET RETURN is a reprint of my 2008 book. It won the Aspen Gold contest held by an RWA chapter in Denver and placed in several other contests. It will also be available as a print book from Amazon. It was a fun book to write and I hope it’s a fun book to read. So that’s what’s been keeping me busy writing-wise and publishing-wise. Prior to that, my daughter came and stayed ten days with me. We beaded and cooked and shopped and did all of the things we usually do. Had a great time. I enjoy her company so much and miss her a lot. One of these days, I’m going to have to move to Oregon to be near her. She hates Texas and only comes here because I’m here. I didn’t do a lot of holiday cooking this year, but I did make biscotti to take to work. Turned out to be delicious. I had never made it before, but it’s fairly easy and almost foolproof. And tomorrow, I go back to my real job, which ends the holiday for me. One of my resolution for the coming year is to try to be more attentive to this blog. For me, its purpose it to promote my books, but that doesn’t mean we can’t talk about other things. A lot is going on in the world and most of it bears discussing. So please hang in there with me. TIDBITS OF NEW OLD NEWS . . .
I’ve hired someone to format THE LOVE OF A LAWMAN for the digital bookstores, so I won’t be taking six months to do it myself and get it uploaded. If all goes well, I’ll be able to upload it by the end of this month and hopefully, it will be error-free. I have a cover ready and waiting. It was designed by miracle worker Kim Killion. I love this woman. I’m weary of seeing half-naked men on book covers, so I decided to go a different direction. Seems like every other book these days has a picture of bare chests and abs. Hope I haven’t made the wrong decision. This guy looks pretty good, doesn’t he? Even if he is fully clothed. Let me know what you think. One nice thing about self-publishing: If the cover is wrong, you can take a mulligan. This book was originally released in 2005. 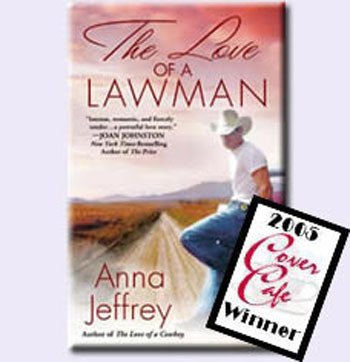 The original cover designed by my print publisher won the Cover Cafe award for cover of the year. Like all of my books, it’s kind of a soap opera. The “What If?” question I asked when developing this story was, what if beautiful gutsy woman who has been abandoned by the guy she ran away from home with years back, returns to her hometown, bringing her brainy daughter, searching for her roots and starting her life anew, only to encounter and be distracted by the man who has been in love with her since they were teenagers? What if a handsome ex-ProRodeo champion, who is divorced and starting over, takes on the job of sheriff in his tiny crime-free hometown just to while away a few months before he does something else, then a murder occurs under his watch? And what if, at the same time, he runs into the beautiful woman he had a crush on in high school? If you’ve read my books, you know that all of my heroines are beautiful and all of my heroes are handsome. Romance novels are, after all, fantasies. So if you haven’t read this one, it will soon be available through Kindle and Nook and other online venues. The second occurrence is I had a conversation with Amazon about publishing a print edition of THE TYCOON. According to them, I’m wrong in thinking I should publish it as an e-book first. They recommend I publish it as a POD book first. I’m still deciding. In any event, God willing, I’ll get this book on the market this year. I started the year thinking I would get it out there in February. Then I moved the date to May, then September. Now I’ve lowered my sights and I’m just shooting for 2012. So much for best-laid plans. My newly designed Web site is up and functioning. Check it out. www.annajeffrey.com. Let me know if you have any problems navigating it. It can be fixed. THE READING REVOLUTION IS HERE…. And if I ever doubted it, I no longer do. 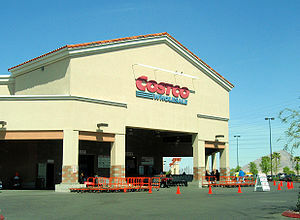 As some of you know, my real job is with a major retailer. For most of the holiday season, I worked in the electronics department. The number of iPads, iPods, KindleFires, Nooks and other tablet-like devices that were sold was astonishing. 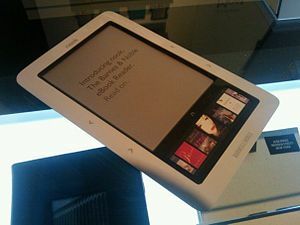 Amazon is already claiming sales of more than a million KindleFires. And what can we do on each and every one of these electronic devices besides play games, email and surf the Net? WE CAN READ BOOKS! Even though I wrote back in October about reading on an e-reader as opposed to having a printed book in your hands, I see the handwriting on the wall. 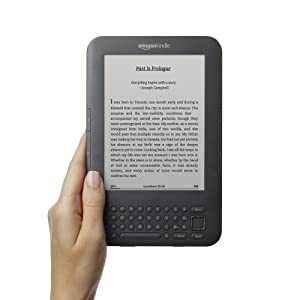 Mid-list authors like me have already found a home on the Internet with Amazon, Barnes & Noble and Smashwords, which distributes e-books to e-retailers like Sony, Kobo, Diesel, Apple and others. Amazon and Barnes & Noble are paying nine times the royalty rates for e-books as the Big 6 in New York. I have a friend who has self-published 17 of her backlist books and has now sold more than a million e-books. She would never have seen the day in traditional publishing when she would be as well-paid as she is in e-publishing. Amazon already has an apparatus in place where mid-listers can self-publish in print if they so desire. Mid-listers also now have access to editing, copyediting, cover design and even reviewing by a major reviewer. A writer who dreams of seeing his great American novel in print is no longer stymied and denigrated by the gatekeepers. Of course, none of this is free. Authors will have an outlay of cash to make this happen. The author with business savvy will put together his or her own little organization that functions in a professional way, which will benefit both author and reader. It’s only a matter of time before one of the major bestselling authors will take a close look at his or her royalty statement and recognize how much money he or she is sacrificing by not being independent. And when that happens, I believe it will be like opening the floodgates. All bets are off when it comes to the future of New York print publishing and to existing online e-publishers. The ball is now in the court of authors and readers, where it should have been all along. Like all change, on the surface, it seems as if this cataclysm has occurred overnight, but that isn’t the case. It has been evolving for at least 2 years. What will now make the difference, though, is that so many people now own e-reading devices and will now be able to buy e-books cheaper than they ever could buy new print books. So each and every one of them can fill up his e-reader with as many as 3,000 books. Even school books will be e-books. So if you didn’t get an e-reader for Christmas, you might consider it. You can soon pay for the e-reader with what you’ll save buying books. This is an awesome development and I’m so glad it has happened in my lifetime. I’d love to hear your comments. Last week, something finally happened that I’ve been working at for more than two years. I finally got the copyrights back on two more of mybooks. Whew! What a pain. I’m so happy about this. It’s a good feeling to know that books I slaved over are no longer hanging in limbo where they’re not on the market, but there’s nothing I can do about it because I don’t own them. That’s like having them fall into a black hole. Getting my rights back makes me feel like I have a future again. Publishing and bookselling have become dramas with lots of moving parts. Independents are barely hanging on, Borders is gone and every day, B&N is starting to look more like a gift store than a book store. I don’t know about the other chains because none of them are located in my part of the country. But I do know this. Big retail is in the process of killing mid-list authors like me. Big retail is not in the book and author promoting business. It doesn’t have a dedication or devotion to *books*, as such. Big retail is in the RETAIL business, which is fundamentally the real estate business. Every square inch of space has to produce so many dollars over a certain period of time. Consequently, they’re going to fill that space with stuff that sells lots of items as fast as possible because profit lies in volume of rapidly moving stuff. From their perspectives, books are strictly a commodity that sells well or not. Thus, their interest in stocking only name-brand authors. These days, if you stroll through the book section of a Walmart, a Costco or a Target, you won’t see a large selection of books by authors other than New York Times Bestsellers. Some of the stores are stocking the whole backlist of those authors, which leaves no space for mid-listers. So for you readers out there, if you don’t want to read every book by an author going back to 1985, or if you’ve already read them and don’t want to read them again, you’re going to have to buy a digital reader. Online is where the mid-listers have found refuge. So now I’m no longer a mid-list author. Now I’m an independent author selling my out-0f-print books for e-readers. I’m on my own. this is why I’m blogging, tweeting and facebooking more than previously. It’s a brave new world out there. I’m trying to reach as many readers as I can, hoping to find a larger audience for my stories. Publishing houses are no longer the gatekeepers. The rights to my future books will not be owned by anyone but me, which is a liberating feeling. They most likely won’t be showing up in big-box stores, but that’s okay with me. I sure can’t predict how digital readers and independent authors are going to affect publishing houses in the final analysis. Some of them might very well go out of business altogether. Having said that, I should also say that I suspect there will always be books in print. The publishers that survive this earthquake will always publish the big sellers. So if you are someone who loves the feel of a*real book* in your hands, something will be out there for you. But basically, books are going to become like music. In bricks and mortar stores, you’ll only see the big names who are posting big numbers. This is a huge boon to imaginative authors who have business sense. 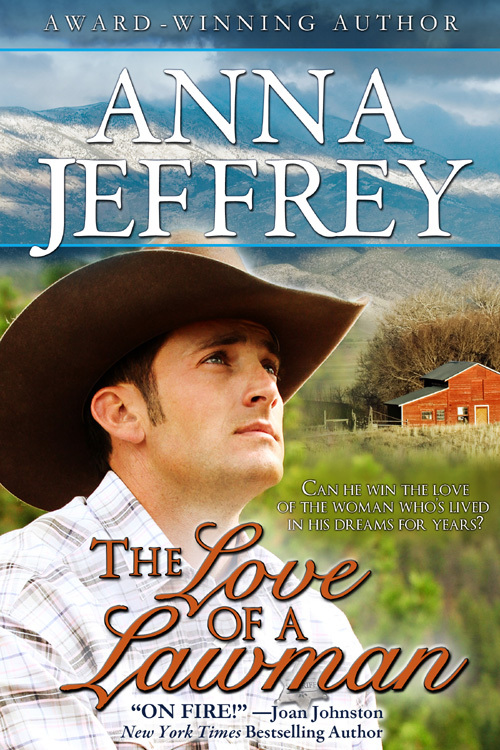 I posted earlier on Facebook that I’m already starting to format my first release, “The Love of a Cowboy,” for Amazon Kindle, B&N Nook and others. Cowboy was released in 2003. It has been my bestselling book and I still hear from readers about it. See you online, Readers. Come and Facebook with me and Tweet at me. I’m interested in *all* of your opinions and thoughts.